We use lights every day in the home, the workplace, and outdoors, so it’s important to be efficient with our energy and reduce our wastage, which is why we’re here to give you a few top tips. A really simple way to be more efficient is to have LED light bulbs instead of halogen. They use much less energy, they come in a range of colours and wattage, and you can buy the bulbs really easily - so there’s no reason why you shouldn’t! You often see motion sensored lighting in public spaces and office buildings, but there’s no reason why you can’t have them in the home. We at Ben Palmer Lighting have fitted recessed sensors in bathrooms before so they sit neatly and, due to the sensors, save energy by only being used when someone’s in the room. 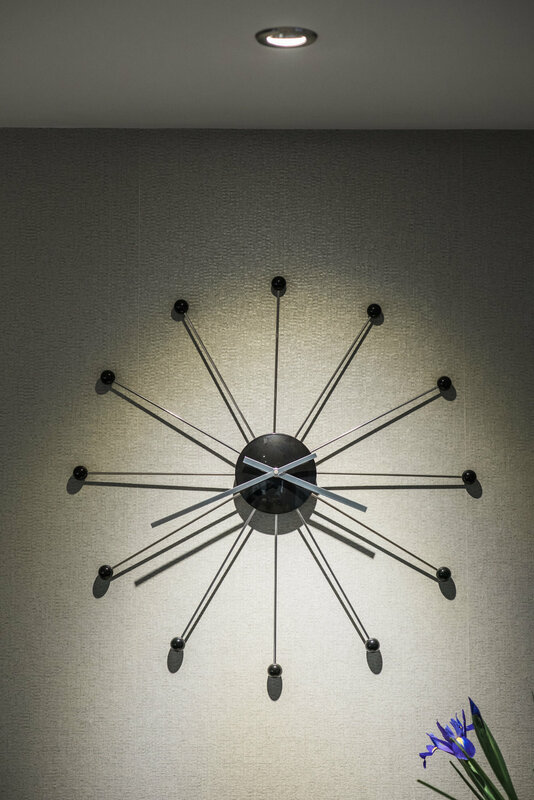 It’s all about quality not quantity when it comes to lighting. 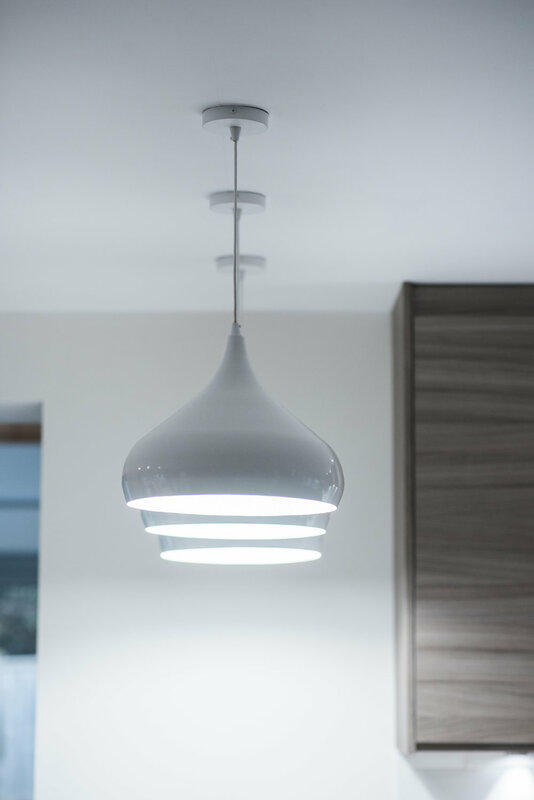 A designer would be able to advise where you need lighting within a room, and where you don’t, for example in a kitchen it makes sense to have lights illuminating the work surfaces for impact and practicality, whereas you don’t need lights focusing on your floor - that’s just a waste. These are just three of the ways that you can save energy through your lighting choices. If you have any questions don’t hesitate to get in touch with us. With summer just around the corner, get inspired with 5 different ways to transform your garden! Lighting design is completely underrated. Think about some of the World’s grandest and most spectacular buildings… The outside of the Ritz is completely illuminated to create a jaw dropping effect and even their lit up lettered signs create an impact and feeling of exclusivity. Then there’s the Burj Al Arab hotel, which has gorgeous rich colours that are brought to life and made to feel warm with the range of lighting designs they have. The point we’re making is that something as simple as a piece of lighting can completely transform a room, and we’re here to give you tips on how to do this, no matter your style or budget... (it's also worth noting, all of the images below are designs are in-house projects we've carried out). There is a common belief that grand and impressive lighting means you need to have a huge budget; although this can help, anyone can achieve it if you do it the right way. The trick is to start with one singular piece – make it big! Choose something that is different and bold, whether this be an oversized chandelier, or a pendant that is hung lower that you would normally have it; this will create a dramatic look and give a fantastic impression for the whole room. Think up! Use your ceiling for lighting opportunities, wall fixtures and free-standing lamps can take up valuable space. Ceiling fixtures are very trendy and some allow you to adjust the angles of the lights to highlight specific areas, make narrow spaces look wider, or hit certain walls to create the illusion of more space - a fantastic solution for a small room! Mood lighting can be used in many situations, but our favourite is for welcoming guests into your home. This is their first contact inside your house and you want them to feel at ease – and perhaps impressed too! To achieve this, ensure the lights aren’t too bright as they adjust from the outside natural light, and use your lighting pieces to focus on the areas you want them to see, such as any artwork or architecture, highlighting your favourite elements. Need a way to create more space in a room with more ceilings? Remove any ceiling lights you have, they’re restricting the space both physically and psychologically. Instead, use recessed downlights in specific and chosen areas to make the space feel bigger – simple! Ensure your walls and ceilings are painted in neutral colours to welcome in the natural light. Painting your ceilings lighter than your walls creates an illusion of height and space, which is great as this works with darker walls as well. If you want warmth, go for an off-white rather than a bright white… and picture a fantastic singular lighting design in the centre of the room to create a dramatic and bold look, stunning! We hope we’ve given you a few ideas you can carry out in your own home. 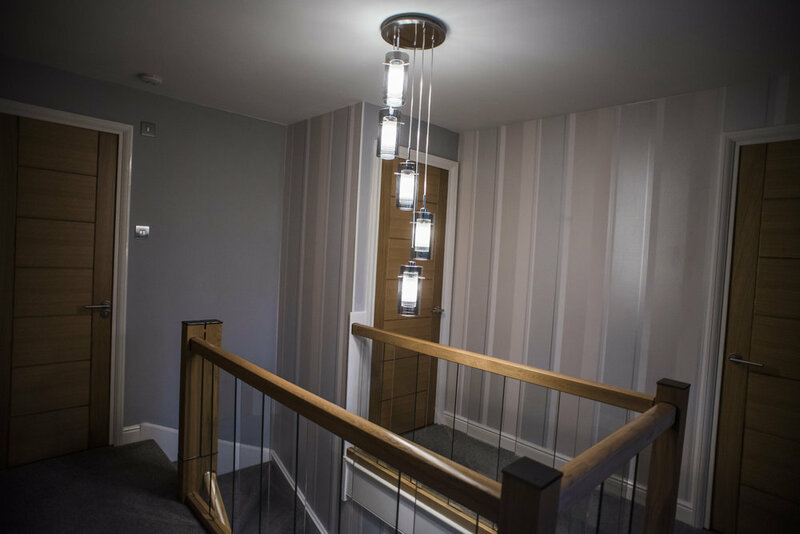 We offer a range of lighting solutions which are completely bespoke to you and your home so we can maximise the lighting opportunities no matter what you need! Tacky or tasteful, festive or frightful? Whatever your opinion, December is bursting with light in so many ways, from the comfort of your home to the largest attractions in every city. We’re here to give you ideas on how to make the most of lighting this festive season, whatever your aspiration! Over the past couple of years, the latest rage for the festive period is festivals of light – Kew Gardens and Bleinheim Palace spectacularly illuminate their grounds and buildings with impressive laser shows and dazzling light tunnels, creating a magical pathway through their stunning grounds. Similarly, Lumiere festival expanded south into London in 2016 lighting up the capital city’s top attractions and sights with the designs of local artists, from freestanding light structures to neon shapes. It is clear the trend is growing year on year and it really is a powerful way of using lighting to showcase beauty of structures and art in a breathtaking and festive way. Although light festivals truly are fantastic and jaw-droppingly brilliant… they’re not very achievable in the home, so we’ve listed 5 different ways you can maximise your lights this Christmas. Outdoor Christmas lights don’t have to be the traditional reindeer flashing lights you see on the sides of houses or roofs… why not get some star shaped lights or light up pebble floors to guide guests through the garden to your front door. Another current trend is archways in gardens, so if you have one, definitely utilise this and get some lights feeding through it to achieve a real ‘wow’ factor! Have a centerpiece light? Make the most of it by wrapping fairy lights around the piece to illuminate the entire room and draw people’s attention to your spectacular light! Get a range of mason jars and fill them with battery powered fairy lights – scatter them around the room to create the feeling of a larger space by spreading the light in the room, try having them at different heights as well. What makes it so great? It can be achieved with any size jars, in any size room! Displaying Christmas cards is not a new concept, but why not have your cards dangle from some fairy lights? Display the lights so they span the width of your widest wall, and safely clip cards on between each light. To really enhance the space, if you have a mirror on the opposite wall, this will well and truly maximise the use of your limited space with the reflection creating an illusion. You can use Christmas lights throughout the entire house, and one way of achieving this is to run lights down your stairs – weaving in and out from top to bottom. To give it that extra homely feel, go for warm white lights. We hope we’ve inspired you to utilise the light in your home this Christmas. If you’ve got any other great ideas, get involved on our Facebook page, and if you want to find out more about how we use light in our projects visit the gallery on our website.